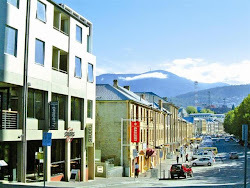 A House in Hobart: Regaled. I think that I've mentioned before how I'd most likely be clinically certified as insane during school holidays if I didn't have the comforting respite of a good book to see me through. Mercifully, during the holidays that have only just concluded I had a couple of fab books in which I was able to quite happily lose myself amongst the pages. 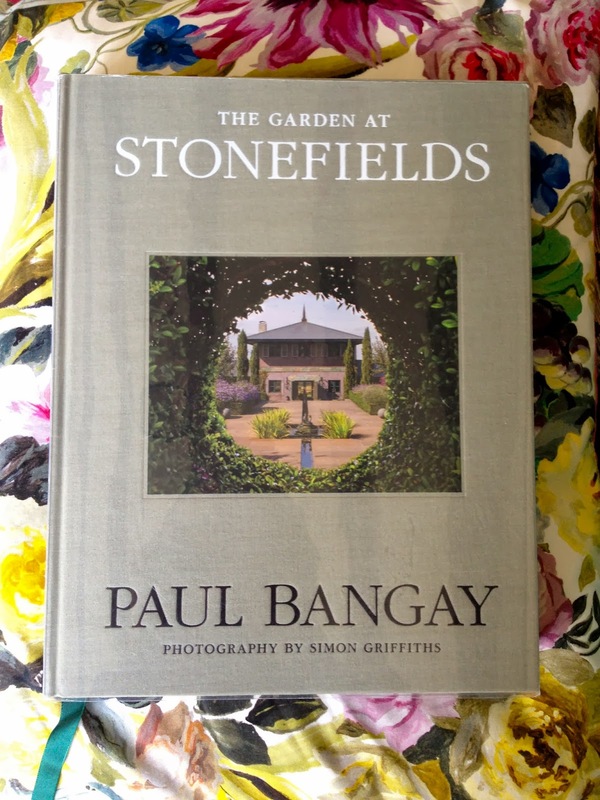 After an informal talk, there was question time and I was able to ask Paul Bangay, in person, which gardening books he keeps stacked up on his bedside table.....his answer was anything by or about Vita Sackville West and Sissinghurst, David Hicks and Russell Page. While most of Paul's oeuvre has done time on my bedside table, I'm sorry to say, that as much as I love this book, it weighs an absolute tonne and is particularly difficult to read in bed. However that's an aside. He also clarified that the quickest way to get your hedges to join up (and this is a major preoccupation for me) is to plant from small, and water and fertilise like mad......I later read that in his own garden he dug up most of the soil in his beds and had it sifted, fed and topped up before it was replaced.....maybe that's what I'm going wrong. Anyway, the rush of having the babysitter in for the evening may have gone to my head, the result being that my friend and I took ourselves out for a fancy dinner at Garagistes.......it was celebrity spotting heaven (in Hobart terms) as we later spotted Paul.....disappointingly having dinner at another communal table. Yet, for my friend, who quite openly admits to being an AFL footy tragic she was beside herself to discover that she was actually sitting next to a female football commentator who she idolises.....I'm afraid to say that I didn't have a clue who she was. As you can imagine, it was hard work keeping the troops on track the next day. Thank goodness I had a brief window of opportunity to slope off with a cup of tea and see the before and after of the magic that happened over 8 years in the Stonefields garden.....the immediate results being a that I've been gripped by a gardening fervour which has seen me strew sheep manure over my entire garden, plant 3 box topiary shapes and a hedge of eight 'Abraham Darby' roses.....so far. 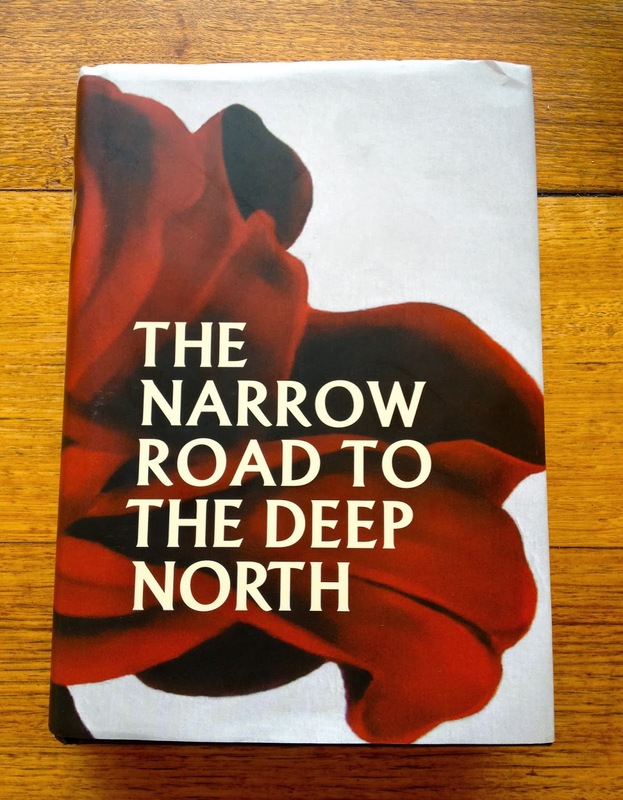 Richard Flanagan's new book 'The Narrow Road to the Deep North'. I won't lie to you, at one stage....after the horrifyingly confronting and graphic descriptions of a POW camp in Burma....I had to put it down and take a mini break. I'd been to a talk Richard Flanagan gave a couple of weeks ago and been transfixed by his anecdotes and inspiration. One story he told was about when he went on a book tour of America which coincided with the belated release of 'The Death of A River Guide' which he had written some years before. I was recounting this afterwards to my husband (who has done some work for Richard) and made it this far before he wanted to know whether this was the time 'when Richard found himself in the back of a taxi with the Beastie Boys?' No. It was the time that Richard found himself on the plane and realised that he couldn't remember absolutely anything about this particular book that he had written, neither the plot nor the characters....nothing. The book was in the hold, which was no help, so he admitted that he resorted to drink. After he landed, jet lagged and a tad hungover, he was met with the good news that he had to front up for a radio interview....and he was already running late. 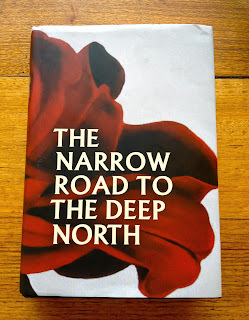 I managed to summon the courage to finish 'The Narrow Road to the Deep North' and I'm still digesting it. It was written in such a way that even though I didn't think I could keep going, I had no choice, as I compulsively wanted to know how it was all going to end. And nothing prepared me for how it did. I can't stop thinking about it and already realise that I'm going to have to read it all over again. Although, before I do so, I think I'm going to have to read Tim Winton's new book 'Eyrie'. 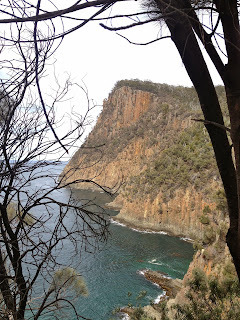 Especially as I see that Tim is bound for Hobart to talk at a Fullers event on 26 October at 6pm at the Stanley Burbury Theatre at the University of Tasmania....which is bound to be interesting. So my children are now all institutionalised back in their respective schools. Books aside, during the second weekend of the holidays, I managed to stage an actual physical escape.....to Melbourne for a hedonistic weekend of chat, food, fashion and frivolity with Heidi from Adelaide Villa, the most interesting blog commenter in the world, Pamela and Faux Fuchsia. I'm dying to get my hands on the new Paul Bangay - am going to put it on my birthday/christmas list, along with the Nicky Haslam book about The Folly. Paul did indeed get very chummy with you for the photo! Ginger jar jeans look fab on you, and love the match up with colours all round. You had me at 8 Abraham Darby roses! I have 2 and love their colour and scent almost as much as Jude The Obscure....which I highly recommend. Your weekend and reading list sound divine. You gals really know how to live it up! Agree with the others – those jeans look beautiful. 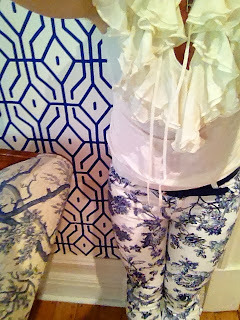 But that toile chaise is the bomb. Paul is always lovely. I think his formula for soil is in his Garden Design book? He's so generous with his tips. 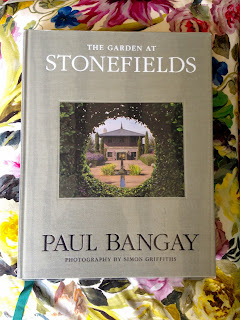 Friends of mine had a Paul Bangay garden at their country home 'Larundel' – 12 garden rooms of Bangayesque beauty. Can you imagine? Still prefer his old schoolhouse to Stonefields. The former had a romance and magic to it. What a thrill to meet Paul.. had the pleasure of walking around his new garden about 6 years ago at his first opening...Stonefields is a landmark I think...I agree with Janelle above and also prefer his schoolhouse garden. Have a good week/weekend!